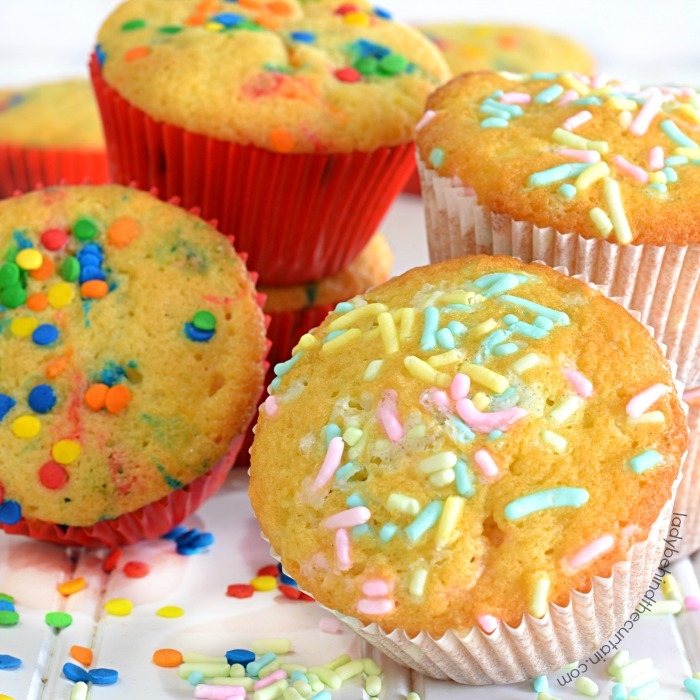 Vanilla Funfetti Cupcake Recipe | A dense delicious cupcake packed with vanilla flavor and fun sprinkles. The perfect cupcake for any party. Easy to customize to a color scheme or theme. This is by far my favorite go to vanilla cupcake recipe. It’s not a party without sprinkles. 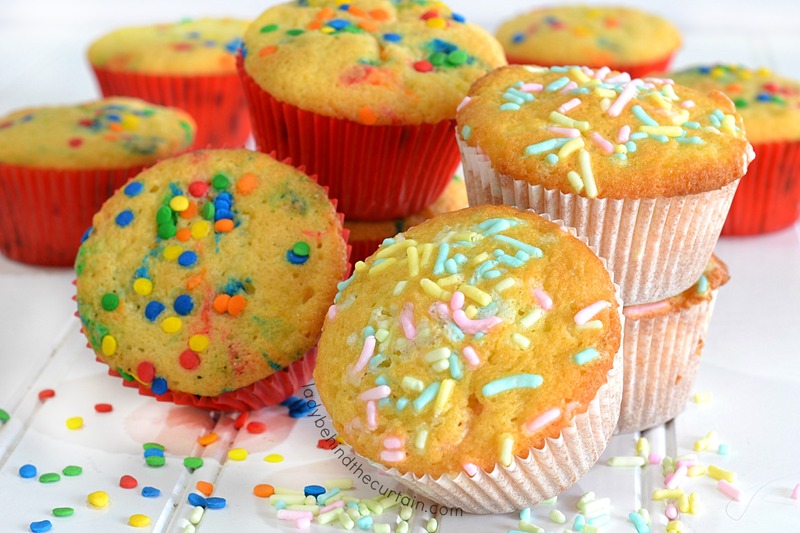 Next time you’re planning a party make sure to add this Vanilla Funfetti cupcake Recipe to the list! 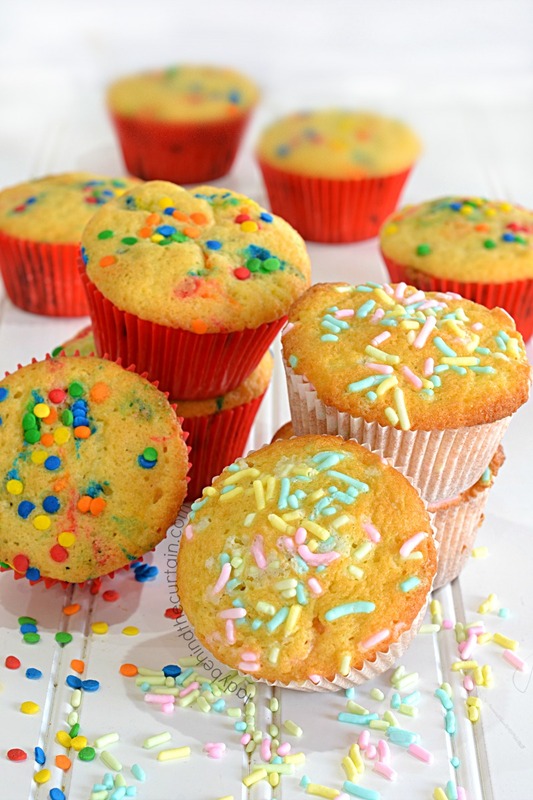 Something I do is….when I’m making cupcakes from scratch I make two batches. One to use then and one to put in the freezer. Right now I have two containers in my freezer one with this Vanilla Cupcake batter and one with my Devil’s Food Cake Cupcake batter. Now I’m ready for any surprise desserts I might need to make in a pinch. Preheat oven to 350°. Line 24 muffin cups with liners. In a large mixing bowl beat butter until light and fluffy, add vanilla extract. Whip until combined; slowly add sugar and continue beating until combined. Add eggs and egg yolks to the butter mixture one a time making sure each one has been incorporated. In a separate bowl whisk together the flour, baking powder and salt. Alternate adding the flour mixture and the heavy cream to the butter mixture until combined. Fold in sprinkles. Fill to three fourths full (one ice cream scoop). Bake 20 to 25 minutes. Cool completely before add frosting.